Aliquippa, PA – Governor Tom Wolf today visited the Insulators Training Center to tour the center, meet with apprentices and members of Insulators Local 2, and to discuss apprenticeships and PAsmart, the state’s new workforce development initiative that helps connect Pennsylvanians with resources for working and training in Pennsylvania. 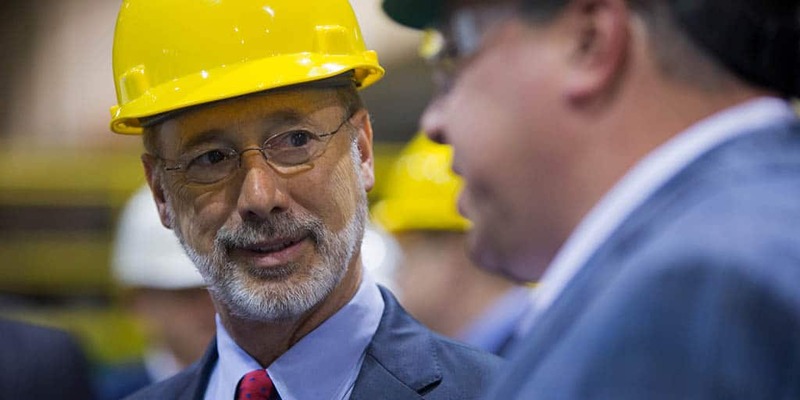 “I am investing in the people of Pennsylvania with the PAsmart initiative, which will help Pennsylvanians get the skills they need to get good, middle class jobs,” Governor Wolf said. “There is no better example of good jobs than working in a trade as the members of Local 2 are doing, focusing on a skill that will lead these men and women into a successful career. Governor Wolf’s 2018-19 budget proposal will include $30 million for PAsmart. Of that, $7 million will be an increase in apprenticeships with a goal of doubling the number of registered apprentices by 2025. Since Governor Wolf established the commonwealth’s first Apprenticeship and Training Office in 2016, the number of registered apprentices has increased by nearly 20 percent from 13,282 registered apprentices to 15,972 statewide. Insulators local 2 was chartered on December 10, 1904, covering 24 Pennsylvania counties for training, including Allegheny, Armstrong, Beaver, Bedford, Blair, Butler, Cambria, Cameron, Clarion, Clearfield, Crawford, Elk, Erie, Fayette, Forest, Greene, Indiana, Jefferson, Lawrence, Mercer, Somerset, Venango, Washington, Westmoreland, plus 20 counties in Maryland, Ohio and West Virginia. Insulators Local 2 training center provides state-of-the-art training that covers all aspects of the trade. Apprentices and members are trained in industrial, commercial and cryogenic work.